Achieve the home of your dreams with HBK Architects. We listen to your needs, visualise your aspirations and mange these into the reality of your dream home. HBK Architects are very pleased to announce that from 1st April 2017 they will take over the projects of ATP Architects Ltd, Castlerock. As of 1st April 2017 Alan Ross of ATP Architects will be leaving ATP Architects Ltd and joining The National Trust. As a result ATP Architects Ltd will be wound up, in a solvent state, and all existing and ongoing works will be taken over by HBK Architects. Alan Ross and HBK Architects share a long established friendship, and working relationship, with HBK mentoring Alan for many years through college and in his formative years of employment. For HBK Architects this is an exciting opportunity to extend our portfolio of work into the North Coast of Northern Ireland with various projects in areas such as Coleraine, Castlerock, Portballintrae, Ballycastle, Limavady, Ballymoney, Portstewart and Rathlin Island. 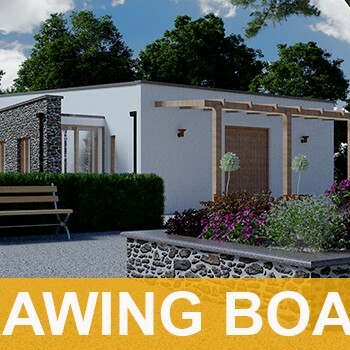 Stephen Salley of HBK Architects can be contacted on 028 9262 8031 or by email on stephen@hbkarchitects.com and for a period of 12 months all telephone numbers, mobile numbers and email addresses associated with ATP Architects shall be redirected to HBK Architects. We would like to take this opportunity to wish Alan all the very best with his new post in The National Trust. Achieve the home of your dreams with HBK Architects. We listen to your needs, visualise your aspirations and manage these into the reality of your dream home.